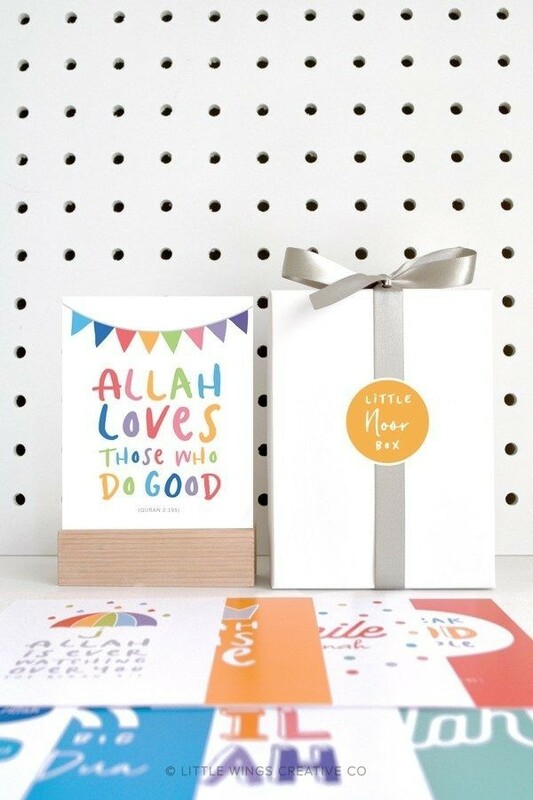 Nurture a positive Islamic mindset in your child with The Little Noor Box. 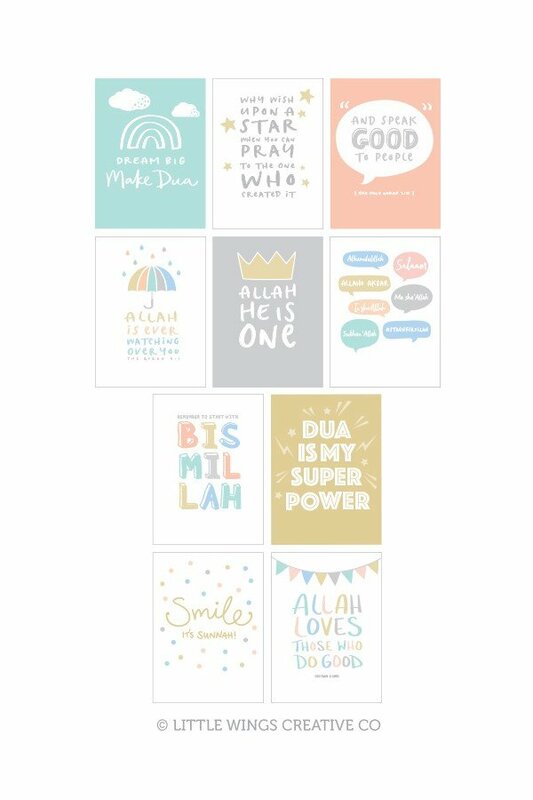 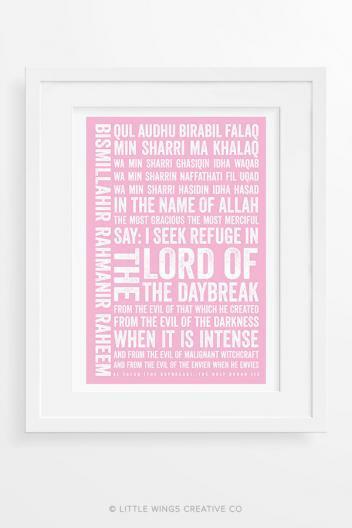 Containing a set of 10 mini Islamic art prints featuring quotes and positive reminders to highlight the importance of Islamic values. 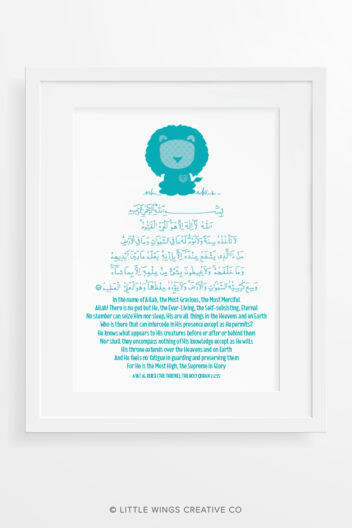 Display the collection of mini prints in your child’s room for a constant reminder. 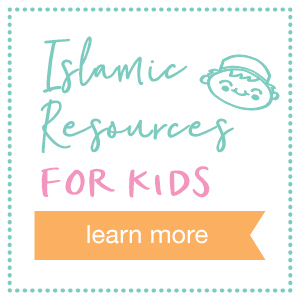 An adorable gift idea for a special little Muslim! 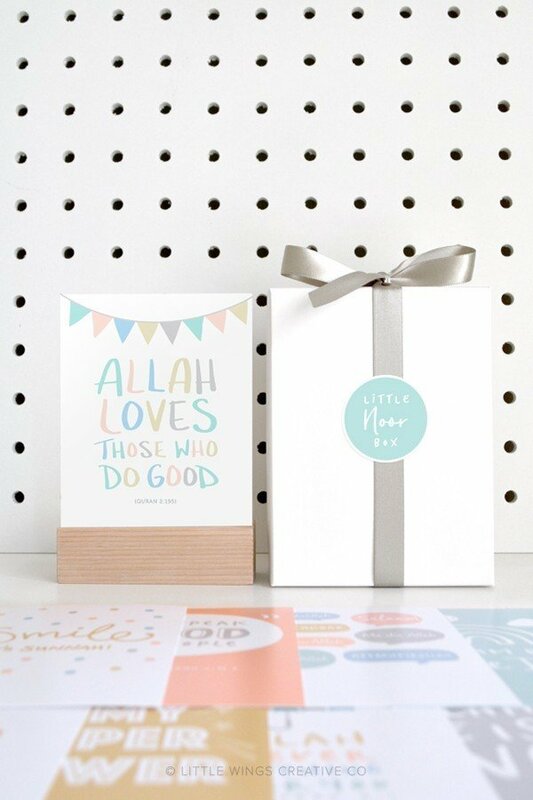 Each beautifully packaged Box Set contains 10 mini prints plus a wooden display stand. 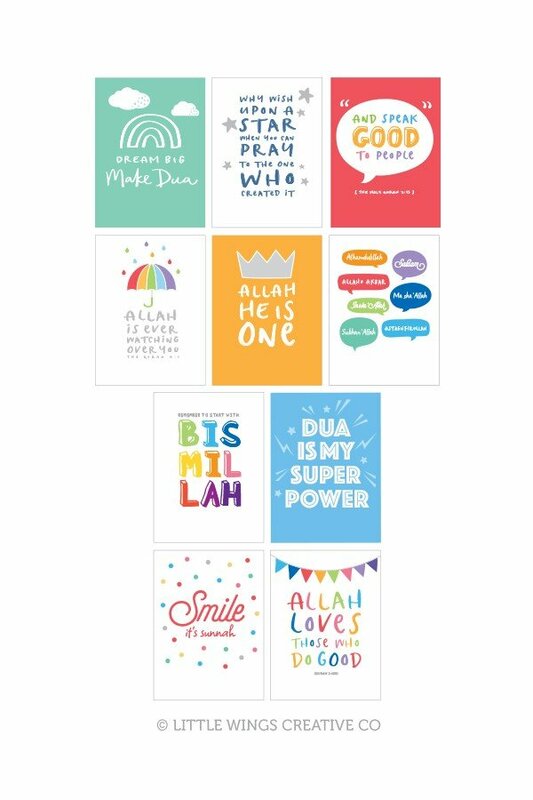 Simply rotate the cards around to suit your liking.